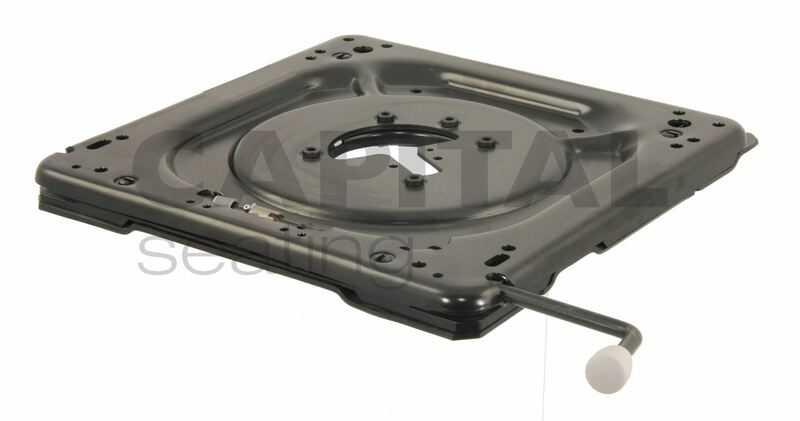 High quality and robust Grammer Seating turntable, for use in conjunction with Grammer seats. Designed to fit between the seat top and the suspension, for ease of use. Suited to fit a variety of different Grammer seats. Please view the technical specifications document above to confirm dimensions and mounting points for suitablity for your Grammer seat. Available with either a 180 degree anti-clockwise turn, or a full 360 degree turn. Can also be adapted to lock in any other position.